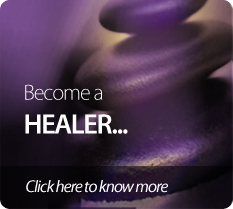 COSMIC HEALING CENTRE is a Mind - Body Energy Centre based in Dubai since 2001. Cosmic Healing Centre offers a wide range of activities including organisation of events and training programs that promote awareness in Healing modalities, Self-Empowerment workshops, Meditations, Alternative and Complementary therapies. We are a growing community of healers who know that our ability to heal evolves out of our own personal journey of healing and spiritual understanding. We also understand both the challenges and opportunities that we are experiencing during this time of quickening of consciousness and of human/planetary evolution. As a non-profit Trust all of the money that is generated goes back into the organisation and is used to nurture healing and peace through education, healthcare and self-development. Sometimes when we do not have the courage to change, everything changes around us to direct us to a new path. You cannot stop yourself from growing, evolution requires it.